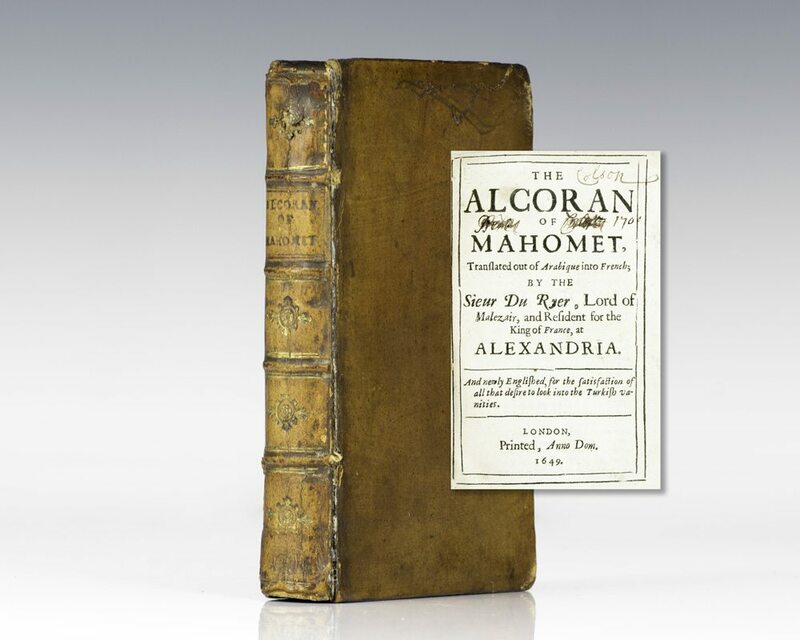 The Alcoran of Mahomet, Translated out of Arabique into French; by the Sieur Du Ryer, Lord of Malezair, and Resident for the King of France, at Alexandria. And Newly Englished, for the Satisfaction of All That Desire to Look into the Turkish Vanities. (The Koran). 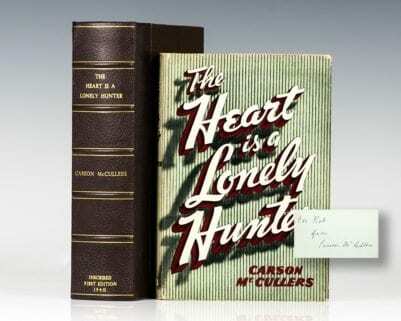 First edition in English of the Koran. Small octavo, contemporary full brown calf. In excellent condition with some occasional light foxing, rebacked. The Koran is the central religious text of Islam. It is widely regarded as the finest piece of literature in the Arabic language. Du Ryer was serving as French Consul in Egypt at the time he translated the Koran; his translation from the Arabic into French first appeared in Paris in 1647. Alexander Ross then translated from Du Ryer’s French.